It’s hypocritical and telling that The Oklahoman isn’t demanding the release of the divorce trial records of billionaire energy tycoon Harold Hamm, the chief executive officer of Oklahoma City’s Continental Resources. As you will recall, The Oklahoman several months ago launched a full-fledged legal and political attack on Oklahoma City former mayoral candidate and current Ward 2 Councilor Ed Shadid to get him to release his old divorce records. He eventually capitulated after the newspaper hounded him relentlessly in an act of obvious support for Shadid’s opponent Mick Cornett in the mayoral election. The records essentially revealed information about Shadid’s long ago drug use that he had already discussed publicly. The newspaper then sensationalized the information in order to sway the election in Cornett’s favor. The Reuters news agency-not The Oklahoman-has filed a motion to unseal the Oklahoma County divorce trial records of Hamm, 68, pictured right, and Sue Ann Hamm, 58. The trial recently ended. Oklahoma County Special Judge Howard Haralson earlier sealed most of the trial records, according to media reports, in a supposed effort to protect the business interests of Continental Resources, an energy company with a major stake in North Dakota’s Bakken Shale formation. Let’s be clear: Hamm controls a large and important publicly held energy company. The dividing of assets in his divorce could potentially have a deep impact on the Oklahoma economy. He has also served as a top energy advisor for presidential candidate Mitt Romney. He has lobbied openly for tax breaks for oil and gas companies on a state and national level. He is every bit as much of a public figure as Shadid. For the record, I was opposed to the unsealing of Shadid’s divorce records because I sincerely believed they only contained older salacious personal accusations that have since been retracted. I was correct on the content of the records. I believe in open government records and overall government transparency, but The Oklahoman crusade against Shadid was unethical and unfair. The fact the newspaper won’t demand the release of Hamm’s divorce records as well proves this point further. Continental Resources is one of the most important publicly traded companies in the U.S. oil industry. The public has a right to know how its chief executive officer explains his role in the company’s growth over the past two decades and whether, as a result of the Hamms’ divorce, there may be a change in the shareholding structure of the company. Sue Ann Hamm, an attorney, has worked at Continental. She and Hamm married in 1988. 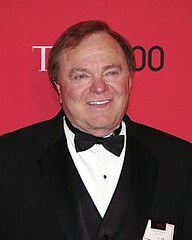 Hamm’s net worth is estimated at $20 billion, according to the Reuters’ motion, which makes him one of the richest people on the planet. It’s obvious that the division of assets in the divorce could affect the company and the local and state economy. The divorce, then, has important public implications. So where’s The Oklahoman? The Oklahoman, it should be noted, is owned by yet another billionaire energy tycoon, Philip Anschutz. Shame on The Oklahoman, in particular, for its latest act of blatant hypocrisy.